The 2017 Cricket Ireland Under 13 Player Development Programme concludes in the summer with a three-day camp at Bready from the 7-9 August. The Irish selectors have named a group of 24 players for the camp which was selected based on performances at the recent Under 13 Interprovincial Competition that was held in Leinster. "The coaches are looking forward to spending a few days in Bready with the players and giving them another chance to showcase their talents and skills in a camp that is a mixture of training and different formats of matches," said Head Coach Michael Hingston. "The first day is a training day and will focus on any lessons that can be learned from the U13 Interpros. "The second day is a 45 over intra-squad match, where the players are mixed up and they play against each other and the final day is a T20 match, once again with the teams mixed up to hopefully create some equal competition throughout. "The U13 summer camp is an opportunity for these players to start building friendships and relationships with other players from around the country from as early an age as possible. "We also look to try to get that careful balance of introducing the players to a Performance Pathway, whilst also keeping a foot in the development roots as well by giving them lots of opportunities to experience cricket at a next level beyond the Interpros." 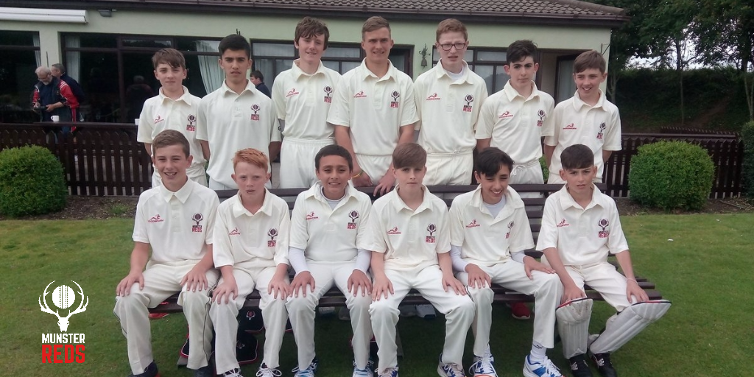 Sam Allister (Waringstown), Kyhat Bhavsar (St Johnston), Jamie Bryan (Lismore), Raymond Curry (Bonds Glen), Matthew Daly (Waringstown), Wilhelm de Klerk (Malahide), Cameron Doak (Lisburn), Rory Ellerby (Instonians), Jamie Forbes (YMCA), Kenzie Hall (Killyclooney), Matthew Halliday (Derriaghy), Adam Kennedy (Instonians), Corin Kyte (Eglinton), Scott Macbeth (St Johnston), Carson McCullough (CIYMS), Josh Moon (Cork Harlequins), Shane O’Reilly (Midleton), Joe O’Sullivan (Leinster), James Rose (Instonians), Ahmed Shah (Phoenix), Andrew Tonge (Leinster), Mark Tonge (Leinster), Sam Topping (Waringstown), Luke Whelan (North County).